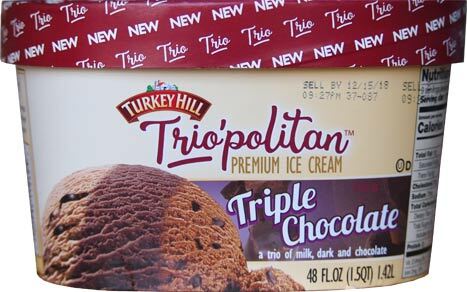 [New for 2018] So there are five new Trio-politan flavors from Turkey Hill this year. We've already covered the Mint one (which my daughter had me repurchase already) and the all natural one (review coming soon), so let's look at the most chocolatey of the bunch. I need to just come out and say that I ate this first scooping too quickly. I just didn't try to seperate the three chocolates like I should have. I just kind of dug in and let them mix. 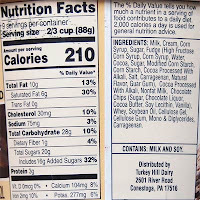 That said, what stood out most was that familiar milk chocolate flavor that I discovered in the gertrude hawk flavor. That probably sounds mundane, but when I say milk chocolate, I really mean chocolate milk or better yet chocolate milkshake flavoring. It's a near trick and it's always a fun flavor to dig in to. 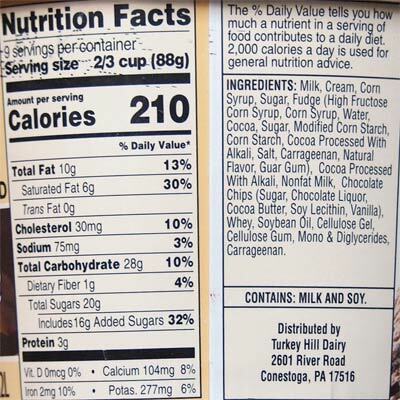 Actually, you could probably even think of it as a bit of a chocolate malt flavor. It has that little bit of extra pop to it. Other thoughts? I want more chocolate chips! I don't usually dig the tiny chips but they seemed to work here for whatever reason. No thoughts on the swirl yet as it kind of got mixed in (I want to say I tasted it amongst four other chocolates but will hold off for now). 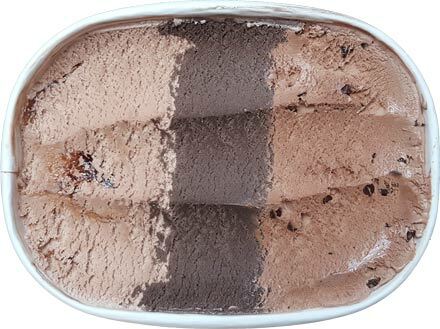 In reality, this is penta-chocolate, not triple chocolate. Kind of crazy right? Basically you really need to be in a chocolate mood when digging in to this one. On Second Scoop: I'm not real sure what to say other than that this is a fun chocolate flavor. I haven't been having any giant bowls of it but rather have just been snacking on it here and there. It's just nice. I wouldn't eat the chocolate swirl by itself (it's too potent) but that's not really any issue in general. I still like the tiny chips here because they match the flavors and textures. I like that the one side has a chocolate malt vibe to it or maybe even a little 3 musketeers vibe to it. 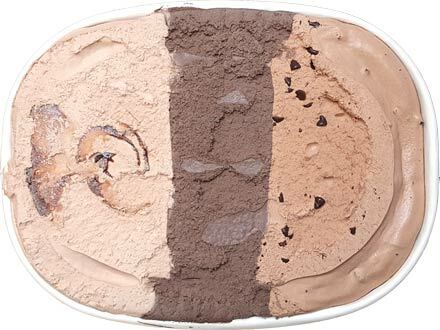 It's enjoyable and you should try it when the chocolate mood hits. Turkey Hill has really stepped their game up in recent years, it seems. As a kid I remember not liking TH much, but the flavors were more limited back then from what I remember. Perhaps it was a regional thing, as you've pointed out.